Getting a product manufactured in China isn’t difficult if you know the right steps to take. It’s essential that you have complete, production-ready documentation, and a qualified sourcing agent who can quickly find the right factory, negotiate prices, and inspect the order prior to shipment. In this article, experienced China sourcing agent Mike Genung will explain the most critical aspects for successfully manufacturing your product in China. Ready to Get Your Product Made in China? The most common mistake has nothing to do with which the Chinese factory they chose, or how they went about looking for a supplier. Rather, it’s a failure to have a detailed, prototype tested, manufacture ready set of engineer’s drawings for all parts of their product. Going to a factory to manufacture your product in China without detailed drawings is like playing Russian roulette with five bullets in the chamber; the chances of it blowing up in your face are high. It’s critical that you have worked with an engineer, created drawings, tested those drawings by making a complete prototype of your product, then made the necessary changes in the drawings to finalize them. When it comes to manufacturing products in China, it’s in your best interest that all of the details are clearly shown in engineer’s drawings, including all dimensions, tolerances, finish requirements, materials, and packaging. For example, we’ve received drawings that only showed “plastic” as the material. There are many different types of plastic; PP (polypropylene), PVC (polyvinyl chloride), PET (polyethylene terephthalate), PE (polyethylene), and PC (polycarbonate) are just a few. All have different wear, hardness, and finish characteristics. There are also food grade plastics. Same with metals. We’ve received drawings that just showed “aluminum,” but there are many different grades of aluminum with different tensile strengths, purity levels, machining, and finish characteristics. If you don’t spec out which materials you want in advance, a Chinese manufacturer will use what’s most easily available to them, (and probably, the cheapest), increasing the chance that you will receive a low grade material and won’t be happy with the results. You’ll want a complete, written set of objective standards for your product that you can hold the factory accountable to. If they make the product with materials that you didn’t spec in your drawings, or if the dimensions are out of tolerance, the Chinese factory is liable to replace the parts or compensate you. If you need drawings or a prototype made, we offer engineering and prototyping as a part of our services. Our engineer will work with you to get the drawings and prototype right so that when we submit your drawings to a factory in China, you can be confident that you’re ready to manufacture your product. Of course, if the product you want to manufacture in China is something simple like a stuffed bear, a sample will suffice and you won’t need drawings. Or if you want us to find an existing product that is widely available in China, such as a flash drive, made to a certain style, pictures showing the style would be enough. Remember to spec out your packaging requirements. If you want custom packaging made, the factory would need graphic files, preferably in pdf and AI (Adobe Illustrator) files. You’ll want to work with a professional graphic artist to create your package design and the artwork. Once we have your drawings and/or prototype, our role is to locate the best factory for your project in China. 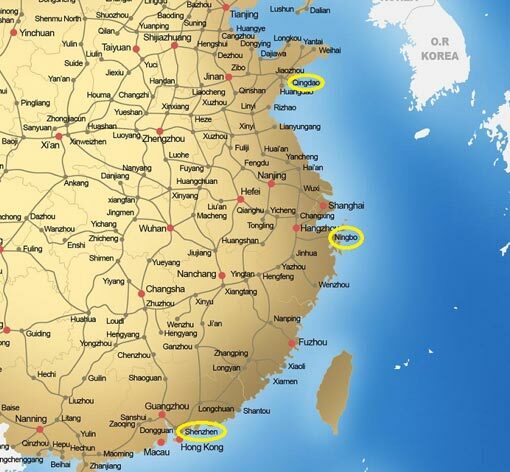 We have three partner companies, located in Qingdao, Ningbo, and Shenzhen that give us quick and easy access to China’s industrial base, most of which is located along its eastern seaboard. We will place your project with one of those partner groups, and they will go to work prequalifying the best factory for your project. Once they have a factory in mind, they will submit your drawings for a quote. Our quote to you will include mold or tooling costs, should they be needed, the cost to make and ship a sample to you by air, the minimum order quantity, and price per part. Unless your parts are very small and lightweight and could be shipped by air competitively, our standard procedure is to include the cost of sea freight in with the part. Sea freight shipments are substantially less expensive than air shipments and are how most import shipments are made. If, after receiving our quote, you want to proceed with production, you would place a purchase order for the production run and molds or tooling that would be subject to sample approval. 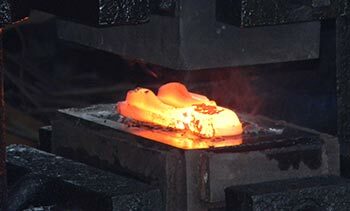 A 50% deposit would be required for the molds or tooling, in addition to the sample cost, and the factory would produce first article production samples for your approval. Note: You should never pay a 100% deposit for any orders from China, sight unseen, especially if new molds need to be made. That’s usually a bad sign that something might be wrong at the other end, such as the factory having a cash flow problem, or having the intent to take your money and run. We’ve had customers tell us that they paid a 100% deposit and then the Chinese factory disappeared or went bankrupt. Once you’ve received the production samples, be sure to thoroughly test them for fit, function, and finish. What you see is what you’re going to get in production, so it’s critical that you thoroughly test the sample for any flaws. Once you approve the sample, the 50% balance of the molds or tooling would be wired to China, along with a 30% deposit for the production run of parts. During this entire China manufacturing process, our company and our partner in China will be intimately involved, working with the factory as needed to insure that the product is made to spec. Occasionally, a factory might come back with a question on an adjustment that would make it easier for them to produce the product, such as if there is an issue with parting line or ejection of the parts from the mold. We will work with you to fine tune the design as necessary and get your approval for any changes that the factory might have requested. Once the production run is ready, our partner company in China will perform a general inspection of your order, which would be in addition to the factory’s own quality inspection processes. We also offer you the option of having an independent, third party inspection company come in to inspect the shipment at an additional fee. The inspection company would provide you with a complete written report that would include pictures. Some of our customers use this service for every shipment because they like the peace of mind that comes when the inspection is done by unbiased personnel. Once you’ve signed off on the shipment, payment would be remitted to China for the balance of the order, and our partner company would get the shipment on its way to you. There are many factories available in China that can make a product for a few cents less than the other guy. But if they can’t deliver a quality product on time, then the price becomes irrelevant. If you negotiate a great price but get a container full of junk, you lose. This is why our primary focus in helping our customers get their products made in China is to locate a reliable factory that can deliver quality products on time. Our people in China do work hard at negotiating competitive prices for you; it’s just that the price isn’t the only consideration. Our approach to getting your product made in China isn’t to scrape the bottom of the barrel to find a factory that will quote the price “you want to hear” at all costs. Over the years, we’ve seen that it’s not uncommon for a China manufacturer to quote a lowball price to get an order, and then…things start to go wrong. The product isn’t delivered on time, or if it is, the quality doesn’t meet the expectations of the customer. Or, in extreme cases, they manufacturer doesn’t deliver at all. The company that imports a quality product at the best price with reliable delivery times, wins. Those who focus on price alone take risks. Our role is to help you be a winner. The next step is to provide us with information, prints, and/or a sample of your product. We’ll take it from there, and show you how to manufacture in China every step of the way. Our New Product Development and Importing from China pages provide more in-depth information on the process of getting your product made in China and how to import from China. Contact Us to get your questions on how to get your product manufactured in China answered and learn how we can start the process of getting your product made in China.